This Ram 1500 has a powerful Gas/Electric V-8 5.7 L/345 engine powering this Automatic transmission. WHEELS: 22" X 9" POLISHED ALUMINUM -inc: Tires: 285/45R22XL BSW All-Season, TRANSMISSION: 8-SPEED AUTOMATIC (STD), TRAILER BRAKE CONTROL. 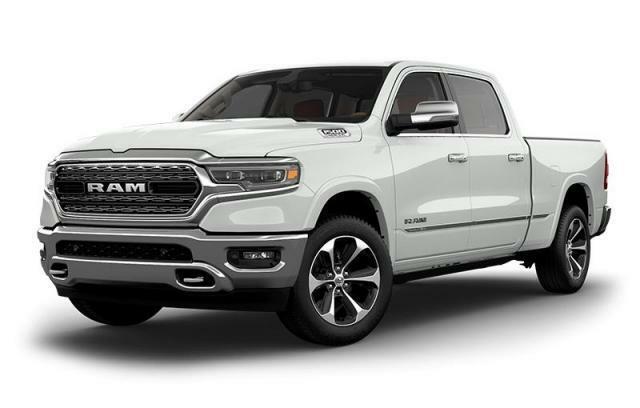 QUICK ORDER PACKAGE 27M LIMITED -inc: Engine: 5.7L HEMI VVT V8 w/MDS & eTorque, Transmission: 8-Speed Automatic , TIRES: 285/45R22XL BSW ALL-SEASON, PROTECTION GROUP -inc: Fuel Tank Skid Plate, Transfer Case Skid Plate, Front Suspension Skid Plate, Steering Gear Skid Plate, POWER DUAL-PANE PANORAMIC SUNROOF -inc: LED Dome/Reading Lamp, LED Dual Dome Reading Lamps, LIMITED LEVEL 1 EQUIPMENT GROUP -inc: Lane Departure Warning/Lane Keep Assist, Parallel/Perpendicular Park Assist, Adaptive Cruise Control w/Stop, Rear Ventilated Seats, Advanced Brake Assist, Forward Collision Warn w/Active Braking, harmon/kardon 19-Speaker Audio, IVORY TRI-COAT PEARL, GVWR: 3,220 KGS (7,100 LBS) (STD), ENGINE: 5.7L HEMI VVT V8 W/MDS & ETORQUE -inc: 18" Full-Size Aluminum Spare Wheel, ELECTRONIC LOCKING REAR DIFFERENTIAL, DEPLOYABLE BED STEP. Come in for a quick visit at Grande Prairie Chrysler Jeep Dodge, 11448 Westgate Dr, Grande Prairie, AB T8V 8L2 to claim your Ram 1500!